London, 17 November 2009 – 70 key online gambling personnel working at eCOGRA-accredited operations in four countries received responsible gambling training from the standards and player protection body this year, the fifth in which courses have been offered. The non-profit organisation’s Responsible Gambling manager, Tex Rees conducted the courses in-house at online casino, poker and sportsbook operations. Identifying and dealing with problem gamblers and understanding how a compulsion can develop, concluding with role-playing exercises and in-depth discussion sessions. Awareness of what issues a problem gambler faces. Perceived numbers as opposed to actual prevalence study percentages. The implementation of eCOGRA best practice standards and requirements, including practical sessions on gambling websites where the dedicated responsible gambling facilities were analysed critically, and the reasons for inclusion in eCOGRA standards discussed. Advertising standards, with examples of gambling ads recently criticised by the UK Advertising Standards Authority. “Responsible gambling ranks very high in eCOGRA priorities for both social responsibility and business reasons,” said Rees. “This year is the fifth in which eCOGRA has provided this professional service to Fair and Safe seal-bearing online gambling venues across the online casino, poker room, mobile, bingo, live dealer and sports betting platforms of the 145 international, tier one gambling sites that are accredited. In the real world, problem gamblers constitute a miniscule percentage of the hundreds of thousands, if not millions, of punters who go online for usually disciplined and enjoyable betting entertainment on a regular basis. For example, in its 2007 UK gambling prevalence study, an independent survey for the Gambling Commission found that 0.6 percent of adults were possibly at risk as ‘pathological’ gamblers. That small percentage attracts a disproportionately large amount of political, social and above all media attention, and this often overshadows the good community work carried out by many operators, said eCOGRA chief executive Andrew Beveridge. “Nevertheless, problem gambling is frequently seized on by industry detractors, and for this as well as moral and business reasons it is essential that operators ensure that staff is trained and facilities are available to the players,” he added. Stopping problem gamblers at website level is just one aspect of a responsible gambling program, which should also embrace marketing and advertising, providing self-diagnostic aids and advice on counselling, and training staff in the right way to handle self-exclusion requests and indeed problem gamblers per se. 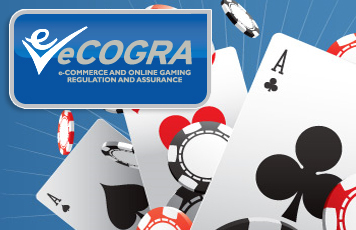 The objective of the eCOGRA courses is not only to address problem and underage gambling timeously, but to continually underline for operators the critical moral and commercial imperatives of continued vigilance and the diligent application of genuine responsible gambling programs, using rapidly evolving exclusionary technologies and training content.